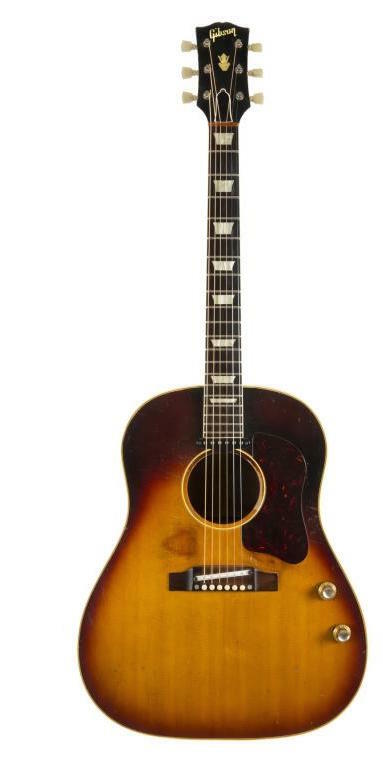 John Lennon's original 1962 J-160E Gibson acoustic guitar sold for $2.41 million. The guitar had been missing for more than 50 years and was a significant guitar to John Lennon's history, according to Julien's Auctions, which handled the sale on Saturday, Nov. 7, 2015. The name of the buyer was not disclosed. 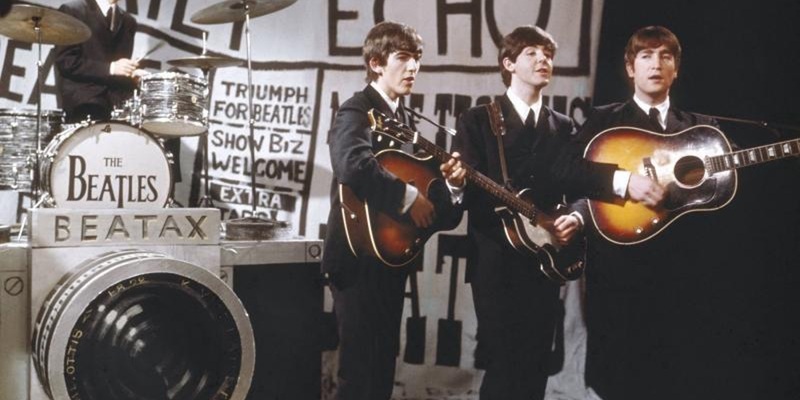 A Beatles drum head, used during the band’s historic appearance on the Ed Sullivan Show sold for $2.1 million to Jim Irsay, owner of the NFL's Indianapolis Colts, according to the IndyStar newspaper. Lennon and Beatles’ guitarist George Harrison both purchased jumbo J-160E Gibson acoustics from Rushworth's Music House in Liverpool for £161, Julien’s said. At the time, the guitars were the only ones of their type in the UK and were said to have been flown to England by jet from America after being specially ordered. The guitars were identical except for the serial numbers. Lennon's guitar went missing during The Beatles' Finsbury Park Christmas Show in December 1963, and he later replaced it with a ‘64 model. A day after receiving the guitars, The Beatles traveled from Liverpool to London’s EMI Studios on September 11, 1962 and recorded “P.S. I Love You,” and “Love Me Do.” Lennon used the guitar on many of the recordings they did in 1962 and 1963 that required an acoustic guitar, Julien’s said. 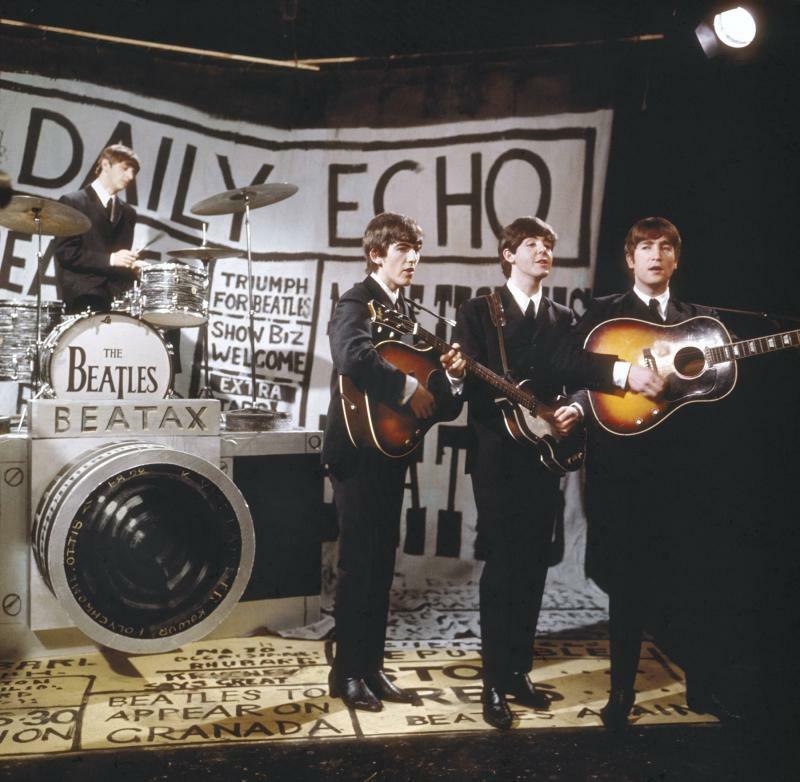 Beatles songs including “She Loves You,” “I Want to Hold Your Hand,” “Please, Please, Me,” “All My Loving,” “From Me to You,” “This Boy” “Please Please Me/Ask Me Why” and “From Me to You/Thank You Girl,” were written on this guitar. The guitar was discovered recently by Andy Babiuk, author of “Beatles Gear — All The Fab Four’s Instruments From Stage To Studio,” after being contacted by Marc Intravaia, guitar instructor to John McCaw who had possessed the guitar since the 1960s. Babiuk examined the guitar and matched the wood grain in the guitar’s spruce top to photos of Lennon playing the guitar with The Beatles in the early ‘60s. 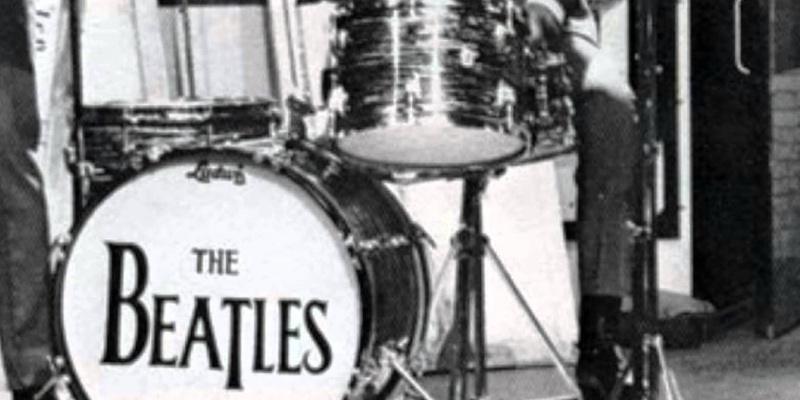 Ringo Starr’s Ludwig drum set, played on 180 studio recordings and 200 live performances with the Beatles, was auctioned off this weekend for $2.2 million. The set was purchased by Jim Irsay, owner of the Indianapolis Colts. The guitar was never refinished and had no hardware or electronic changes, Julien’s said. A percentage of proceeds from the sale of the guitar will go to Spirit Foundations Inc., a non-profit organization founded by John Lennon and Yoko Ono. Lennon died on December 8, 1980 at the age of 40.